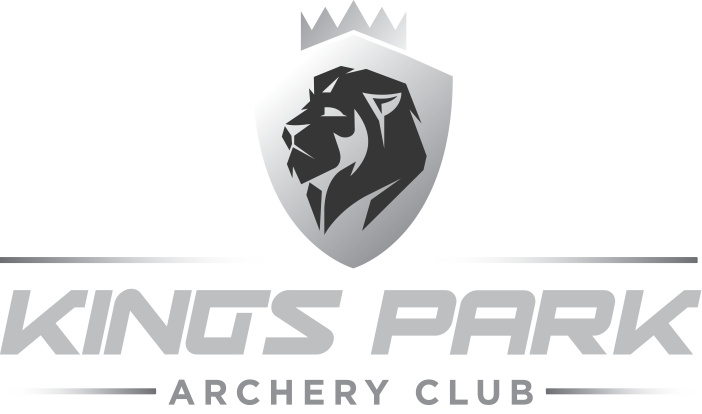 Welcome to Kings Park Archery Club. We are proud to form a key part of the South African Archery community. The marble plaque that you see on the wall of our clubhouse notes that stone was laid in 1956. This however, is not the year in which our club was founded. 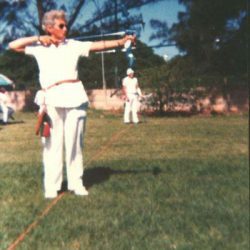 Way back in 1945 just as the Second World War was ending, a gentleman by the name of Alfred Sewell got together with Eric Parker and Alec Hobbs and decided it was time that Durban had an archery club. The Club was duly formed in 1946 and they had their first archery field over on the far side of the rugby fields approximately where the main ABSA grand stand is now. At that time there also used to be a show ground there and the army also had a transit camp in the area. 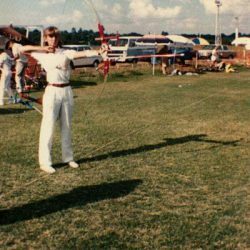 This however, was not the first ever archery club in Durban. 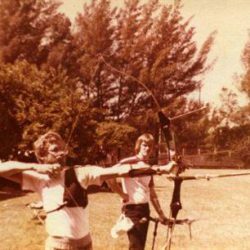 That honour belonged to a club know as the Royal Durban Archery Club that had been formed in the early 1900’s. Our history however does not recount any further detail of what became of this club. 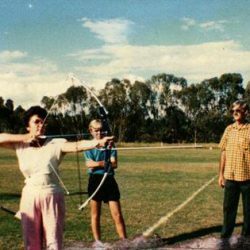 Towards the end of 1946 there were 72 members shooting a bow at the new Kings Park Archery Club. Not only did they have target archery, as we have today, but they also had a full field archery course laid out and they were registered with the Field Archery Association of America! Later they were given a piece of ground at the Stamford Hill Airport (now the NMR Drill Hall) and two rooms in which to store their equipment pending the clearing of bush and the levelling of the ground where we now shoot. It is noteworthy that butts and targets were stored on the veranda of the airport and that with the aid of a hand cart these had to be taken down to the field and placed in position before any shooting took place. Conversely the whole process had to be “undone” after each shoot. Times were tough but the members were keen.